Having a web presence is crucial for any business these days as it's an incredible tool to communicate to your customers world-wide. 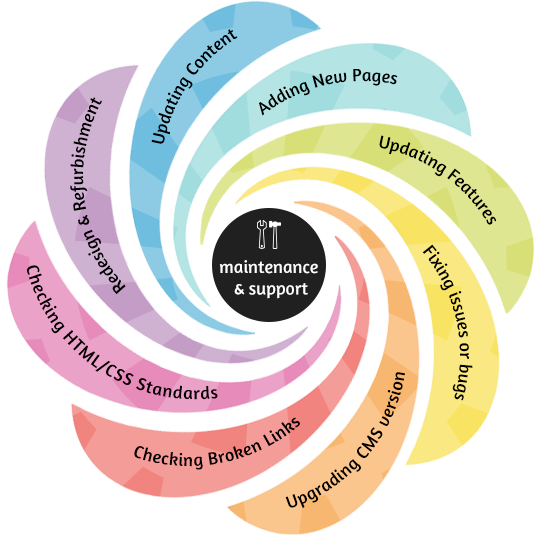 Building a website is only a small part of the solution; what makes it suceessful in the long run is its continuous update and maintenance. This means a website since it's first launch is never complete; instead it's a project in progress. Any website, no matter how robust it is, is bound to have problems at some stage as web-based technology is constantly evolving and upgrading. Since website is a significant investment for any business, it's important to consider from time to time whether the website is an asset to the business or just an administrative burden. Out-of-date, inaccurate or defective websites give your existing as well as potential customers the impression that your company is dated, incompetent, or even that you have closed down your business. By keeping your website up-to-date with content, company information, news, product details, service details, and promotions/offers your website will not only increase the credibility of your business but will also strengthen its online presence. Users are likely to spend more time on the website thereby maximising its potential. Complete redesign and refurbishment of website, which can be alternative to higher maintenance costs.